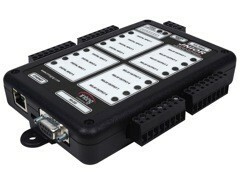 More than 99.9 percent of INTEG cinema automation controllers sold have functioned without requiring factory service. Both the JNIOR 310/312 auditorium controller and the powerful JNIOR 410 multiplex controller are easy to install by any cinema tech or theatre support staff. Once installed, onboard software and support utilities allow you to configure your INTEG control system to fit your specific needs. The JNIOR Support Tool is a PC-based software package that will help you configure controllers, develop macros for event-dependent control sequences, review logs, back up files and install new and updated software.